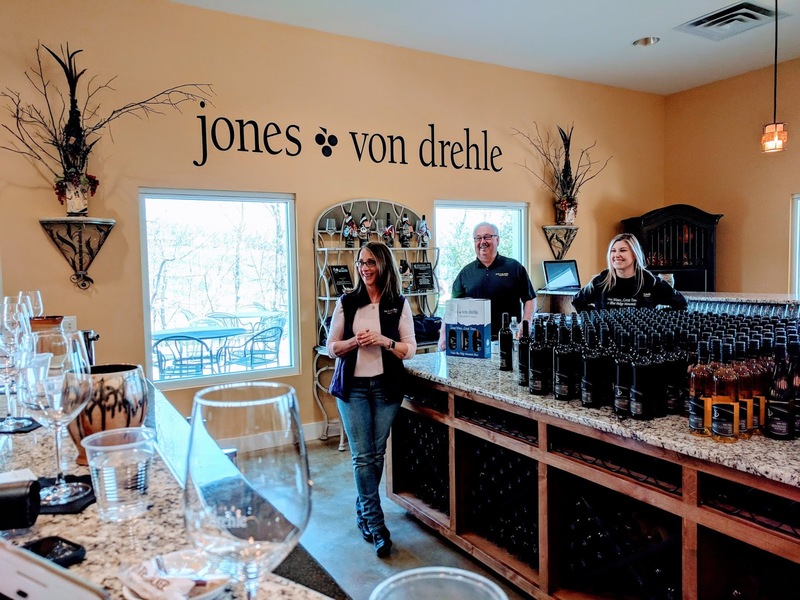 Jones Von Drehle winery opened in 2014 in Yadkin Valley. Although a relative newcomer, its dry, European-style wine is winning awards and gaining new fans. 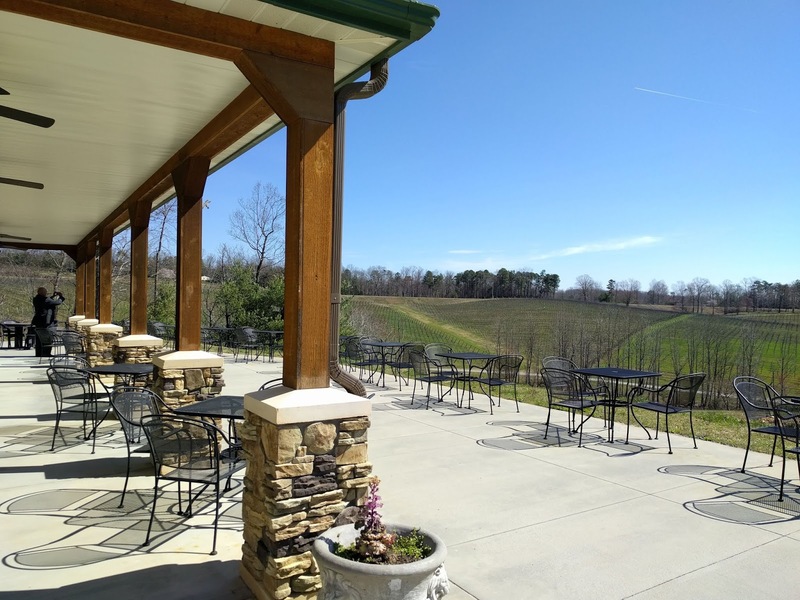 At about 1,600 feet, Jones Von Drehle winery sits at the highest elevation in North Carolina’s famed Yadkin Valley. The reputation of the winery, which crafts wines from its 30 acres of estate vines, is also gaining altitude. During the recent North Carolina Wine Bloggers Summit, we took an excursion to Jones Von Drehle. It was our first visit to this outstanding wine producer. Jones and wife Diana and Ronnie and Raymond von Drehle are in-laws that founded the winery. The property was purchased in 2007 and the first harvest was 2012. The grand opening was in 2014. 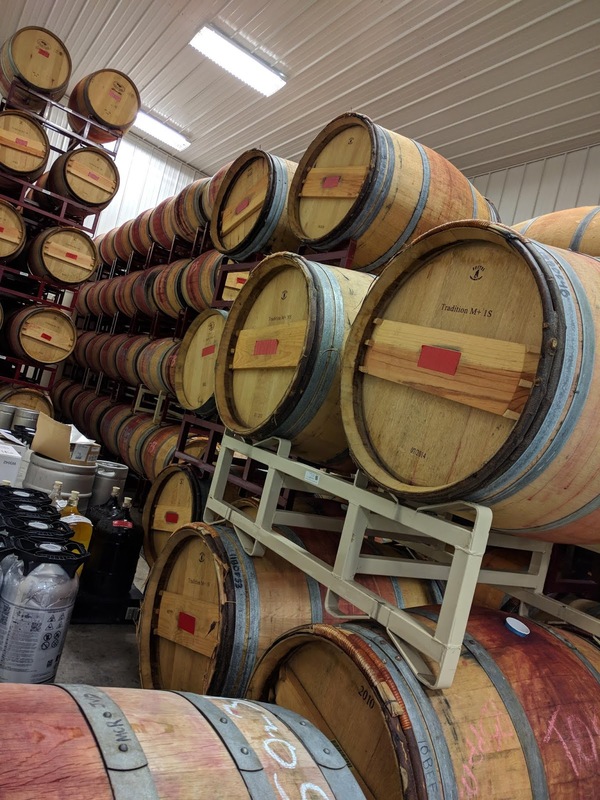 Today the winery produces between 4,000 and 6,000 cases annually. The tasting room sits on a hillside overlooking the estate vineyards. Inside the tasting facility is a first-class operation with a spacious bar, numerous tables, and a light, airy feel. Just outside is a seating area to enjoy your wine while feasting your eyes on the scenic view. There is a nice selection of snacks, cheese and meats available in the tasting room. No outside food is permitted, but larger groups can arrange for a catered lunch. The outside area is pet friendly. The tasting room is open Wednesday through Sunday (with a few exceptions – check the website). All the Jones Von Drehle wines are made with estate grapes and our first taste made an impression. The 2016 Viognier is steel fermented for a crisp finish with light flavors of peach with floral notes. The 2017 Barrel Chardonnay showed nice balance with oak present, but not overwhelming. One of the popular sellers is Rosé Dia, a Grenache rosé with pops of raspberry. Petit Manseng, a grape from Southwest France, is becoming popular in North Carolina and Virginia. 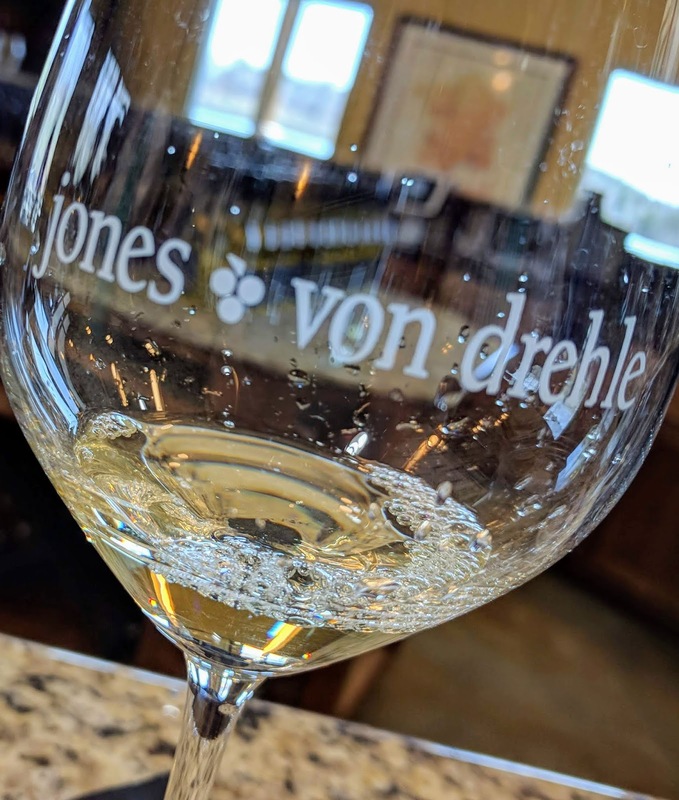 The Jones Von Drehle 2016 Petit Manseng has a good body and juicy tropical flavors. The ABV is 15.3%, something you might see in a big bodied California Zinfandel or Cabernet Sauvignon, but unexpected in a white wine. The grape variety is loaded with sugar and it is a challenge to the winemaker to keep the alcohol level under 16%. This is the grape everyone is talking about, so give it a try. We tasted through a Tempranillo, Cabernet Franc and a reserve Malbec, but my favorite was a red blend. The 2013 Steel and Stone blends 65% Petit Verdot and 35% Cabernet Sauvignon. The Petit Verdot is lush and rich and nice structure is provide by the Cab. The wine is aged 43 months in a mix of new and neutral oak. The tannins are silky smooth. Jones von Drehle wines range from $20 to $34 for the reserve wines. Happily, their wines are widely available in North Carolina retail stores and restaurants. For the very best experience, we encourage you to sip and savor at the winery itself.